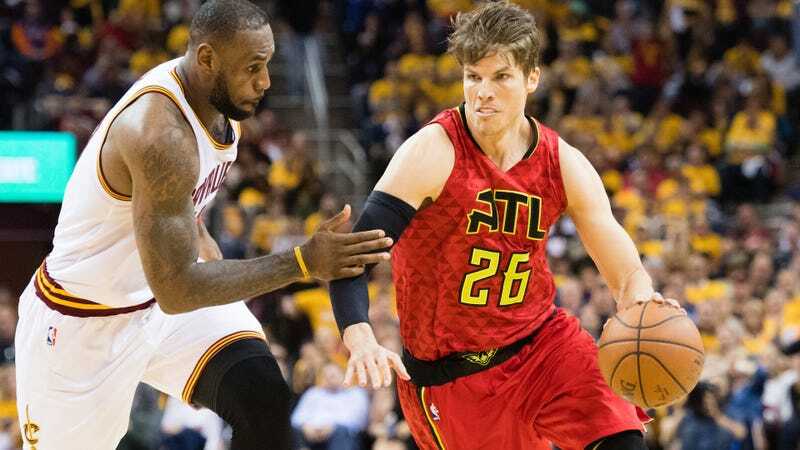 The Kyle Korver-to-Cleveland deal is official, two days after it was first reported—with the Cavaliers giving the Hawks Mike Dunleavy, Mo Williams and a future first round draft pick in exchange for the three-point specialist. Korver adds some depth on the perimeter that’s especially needed right now, with J.R. Smith out for up to three months with a thumb injury. The trade only makes an existing strength stronger for the Cavaliers, who are currently third in team three-point percentage (38.8 percent) and take more shots from beyond the arc than any team except for Houston (33 per game).